Ultimate Sky Factory can not be called a typical Sky block in Minecraft PE (Bedrock Edition). This is a multipurpose map + addon, where you have to survive in a small area, but for survival you will get interesting mechanisms and things. So, as you start with only one tree you need to get all you resources from that single tree. When you go to the factory you are faced with a lot of new and interesting things to help you. - Compost oak saplings. There are many things to compost by the way. This is how you ge dirt. - Sieve dirt to get pebbles. - Turn those pebbles into cobblestone using the pebble combiner. 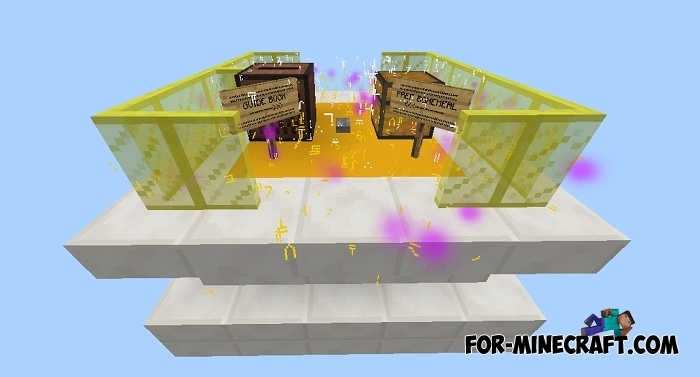 - Use the hammers to get gravel or sand. - Sand is very userful as this is how you can get water. Sieve it to get cactus. - Turn cobblestone into lava. Make sure you have a bucket 1st. - Turn cactus into water. ake sure you have bucket also. You can trade in the factory shop to use yoor emeralds you have collected to get spawn eggs fo farms, unique modded items also. You can sell thing there for even more emeralds. Sieving is the only way to get most of the things you need for surviving. The tiers are as follows: Dirt, gravel, sand, mycelium, prismarine. In the unique machines you'll find a machine that has its own custom crafting recipes,press the wooden button to see what you can craft. Place all the items in the same pattern. It'll craft it for you. Then you need to exit it and go back. The Nether and the End are as standard. 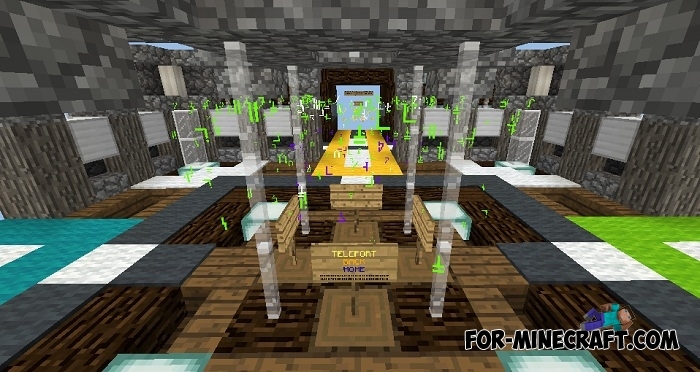 But to get to the end you need to craft bedrock, end portal frames, get eyes of nder etc 1st.